The power of social media in today’s digital landscape goes beyond its supposed limits. It is an effective tool in shaping the people’s thinking on the most pressing of issues and has the capacity to make a trend out of mundane things. Social media offers everything from writing how you feel, posting photos and videos of life’s milestones, and announcing events. It has a bigger reach than most media platforms. As we all know, social media is being used in business for marketing purposes. Considering the expansive reach of social media to any age and nationality, businesses have taken marketing to another level. 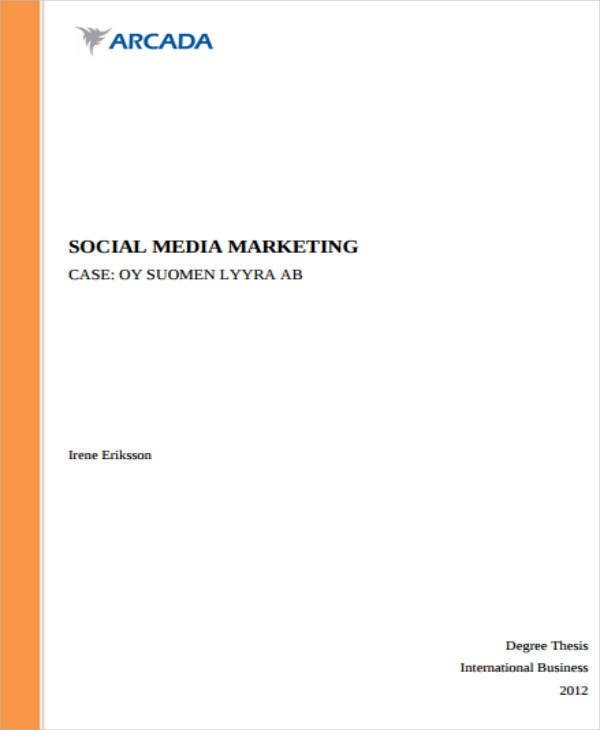 Marketing through social media has been quite effective, given the proper placement and brainstorming of content. It brings back a lot of revenue to the business owners. 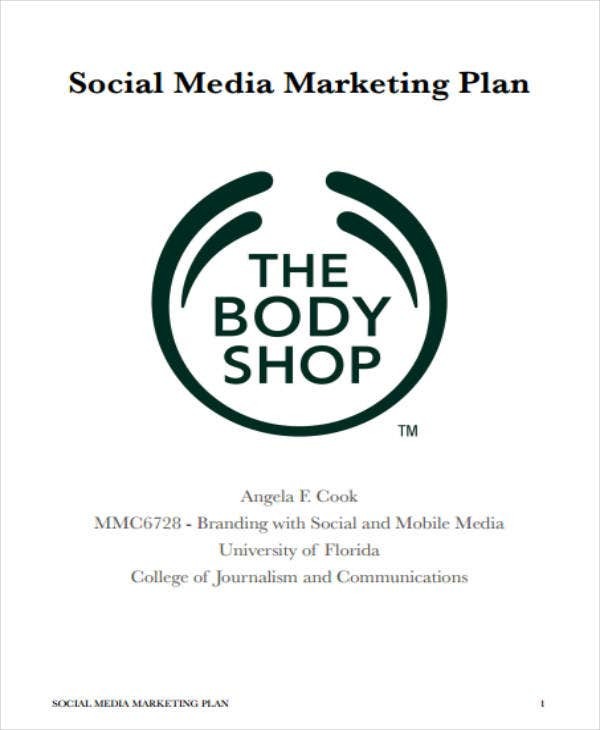 But first, a business plan must be written down if you plan to create your own marketing scheme through social media. The first part of the business plan should consist of the business overview. Here, you write information about the business. The business overview will give investors an idea of what your business is about and how you operate day by day. You also need to define how social media can influence the business landscape in the coming years. 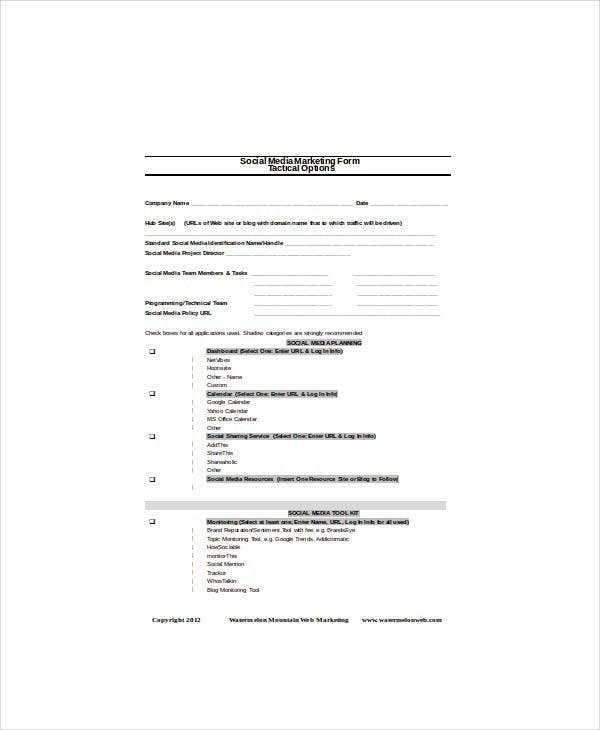 The executive summary provides more in-depth information about your business. This is where you write about the current state of the business, how it runs, and its brief history. You also include your plans on marketing and how you are going to do it through social media. The executive summary should have a clear sneak peek of what you are set out to do in the business. List down the products and services that your company offers to the people. Never leave out anything when it comes to this. Investors have to know your products. You can also provide a short description of every product and service to give more context to the investors. There should also be an explanation of how your set of products and services can maximize profit for your company and the investors. 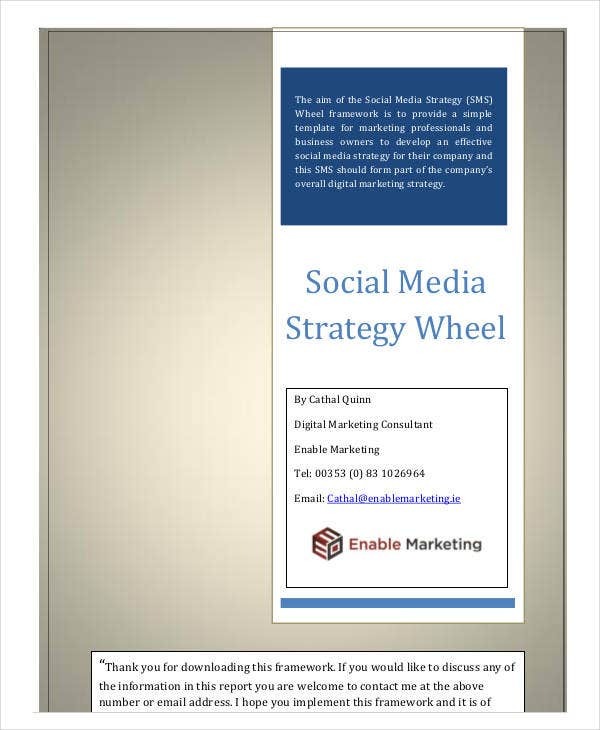 You may also see social media marketing plan samples. Any business does not go without any vision and mission statement. Include these in the business plan document. The mission states what you want to do while the vision explains where you want your company to be in the future. This part should be brief and concise. Just write the most important parts of these two statements. Write about the business structure that your business falls in. It also includes the kind of workers that you have in the company and their individual job descriptions. You should also state that you want to hire more competent people in the future for your growing company. The job descriptions of each worker in your company are helpful in determining who does a particular kind of job. In every business, there should be a strength, weakness, opportunities, and threats (SWOT) to know what could make the business succeed or fail. The SWOT analysis will tell the investor the risks and solutions that your business has. Now that social media is in full bloom, marketing your business using the said medium should be planned carefully. Threats must be eliminated and opportunities must be maximized. It is important for the business to know their strengths and weaknesses so they can come up with better solutions and strategies. The market analysis in this part of the document states the current trends available in the market today and how you can penetrate it with your strategies. The trends in the market can change in a heartbeat. Know who your target market is and how you are going to reach them. This part also states your edge against other companies and the advantages that you have in marketing through social media. The sales and marketing strategy gives all the details about promoting products and businesses through social media, and the source of money where all of these processes can be done. This part also includes the payment options, sales forecast, and pricing strategies for the products to be sold in the market. Every simple business must have a projection of their finances and sales within a certain time period. Yours should have a financial projection to further guide you on the path that your business will take. 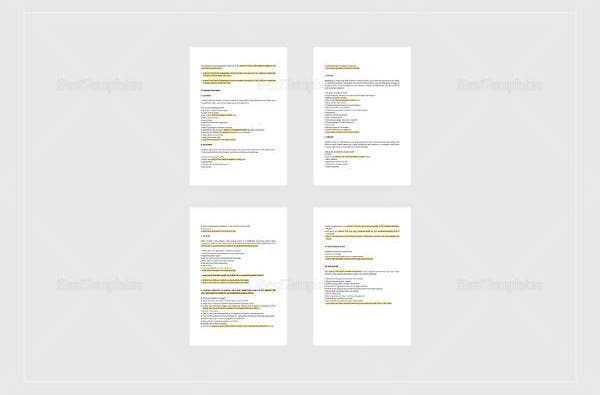 If you have any plans for expansion, it is best to include it in the document. You are putting on a promise not just for your company but to the people you serve. With the many user-friendly features, social media has blessed us with, marketing has been easy, effective and rewarding. Aside from that, the social media marketing proposal lends more advantages to the business owners. One goal business owners always have in mind is for the people to be more aware of their brand. Social media has a wide reach to anyone who has an account in a site and has sharing features. With the more exposure your brand has, the more your brand becomes established in people’s minds. Your brand gets recognized and people will think about buying your products eventually. 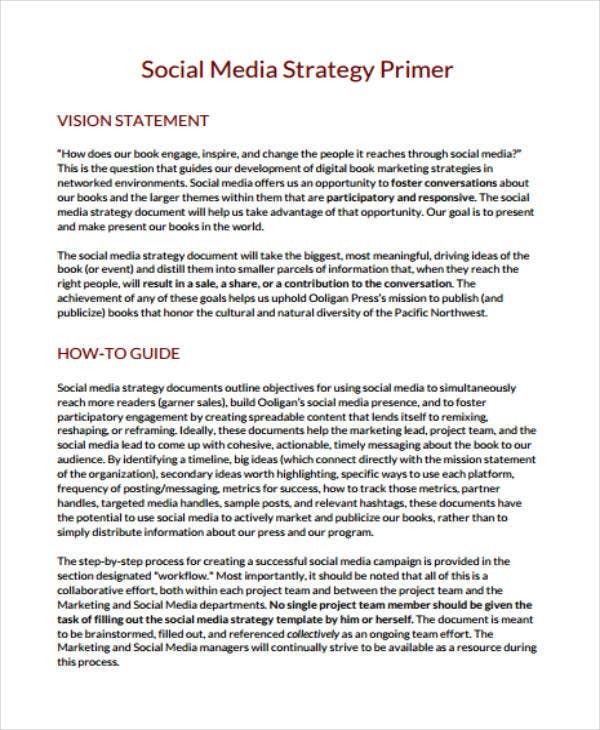 You may also see social media marketing plan templates. Business owners use social media to promote their products and website as well. They link their website on their social media pages so it gets attention from the users. In one way or another, people visit the site to have more information on the product, thus increasing the site’s traffic. It is important for websites to gain more traffic from site visitors since it affects the revenue of the whole business. Every site visit is an opportunity to get new customers. When you have a strong social media marketing, an audience will eventually engage with every content that you put out to the public. Along with the engagement of the audience, you get to know their preferences and what they think about your product. They feel appreciated when you notice their concerns and do their best to cater to their needs. It also generates conversation on your brand and how you are going to make it better the next time around. 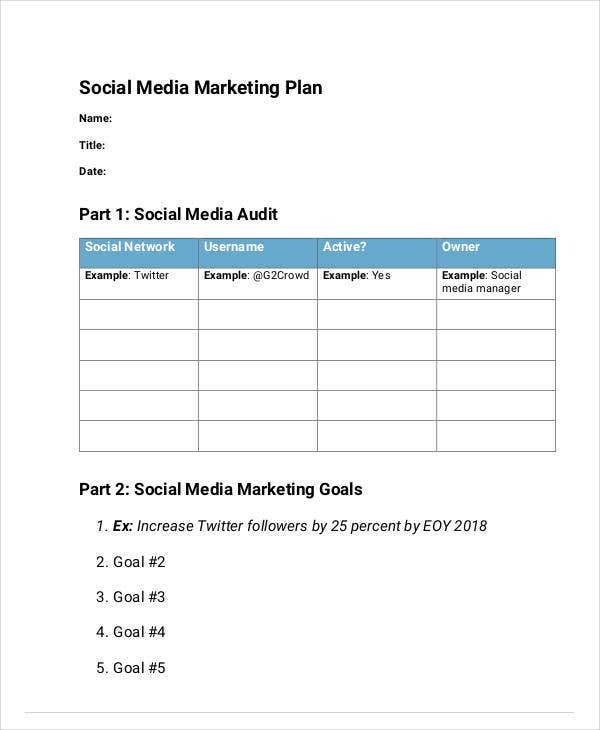 You may also see sample social media marketing plans. Some people voice out their dissatisfaction with the product, and it gives you a clearer idea of where to improve. Audience engagement in social media is important for a business to provide better products and services to its target audience. It also connects you to your audience in more ways than one. 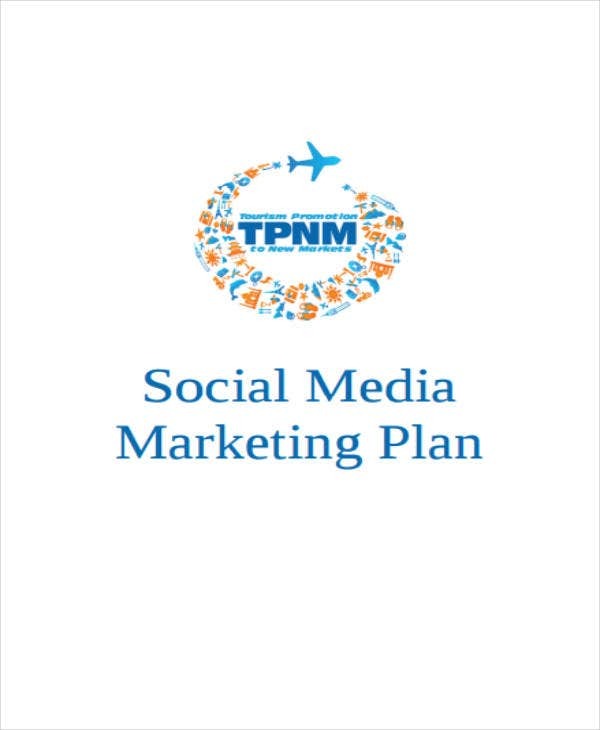 You may also see create a social media marketing plans. Social media is an effective tool for telling your brand’s story. When making the story for the brand, make sure it is relatable and has the power to tug at people’s heartstrings. Your brand’s story should be translated well from paper to online content. Nothing is better than seeing good content with an emotional and social impact. It increases the value of your brand as well. 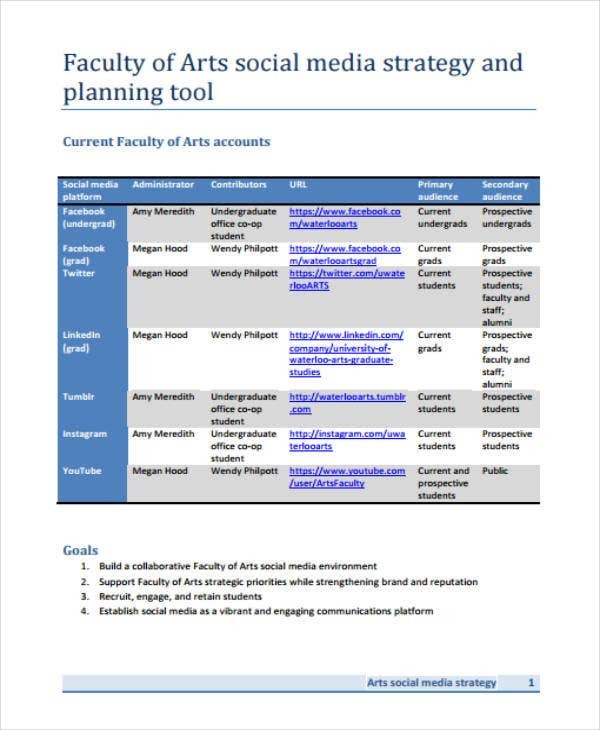 You may also see social media strategic plans. Marketing on social media builds customer loyalty. This kind of loyalty does not come with any monetary fee, as it is one of the best effects of good marketing. When customers are loyal to your brand, you will give them the best of what you can offer. They will purchase your best products and try those that don’t gain much attention. Customer loyalty is a crucial factor for a product’s survival in the market. You may also see marketing business plans. Every video and trend that goes viral today is due to social media. People can share content in just a few clicks and it spreads like wildfire. Your online content for your brand has the capacity to go viral if it is executed well. What makes online content go viral is its ability to relate to people in all walks of life and how it is done. You may also see sample marketing business plans. Websites have search engine optimization features, which enables the site to rank on top of the first page in search engines as it gets more traffic. Social media is helpful in improving the rankings of your website when you link it on your social media pages. People would eventually visit the site and see what they can get from there. 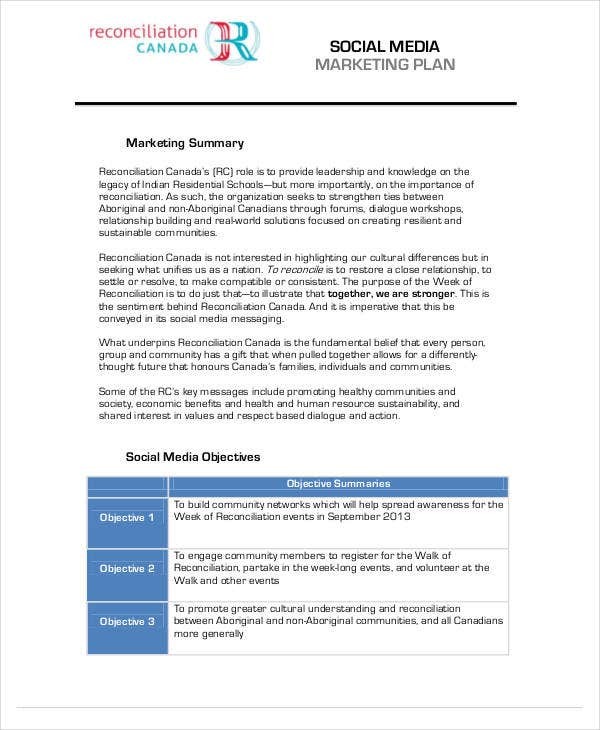 You may also see marketing business proposals. Social media has brought us so many good things. In the business world, social media is a useful medium to maximize their revenue and promote their products in the best way possible. 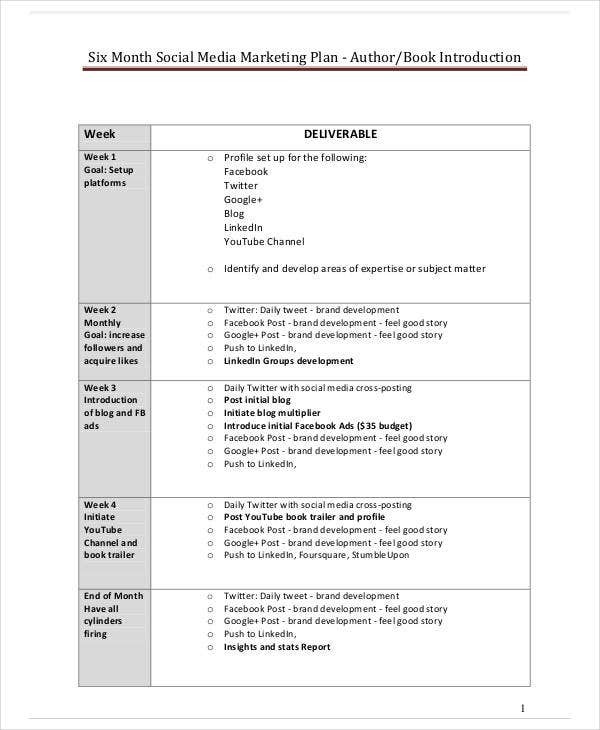 You may also see sample simple marketing plans.